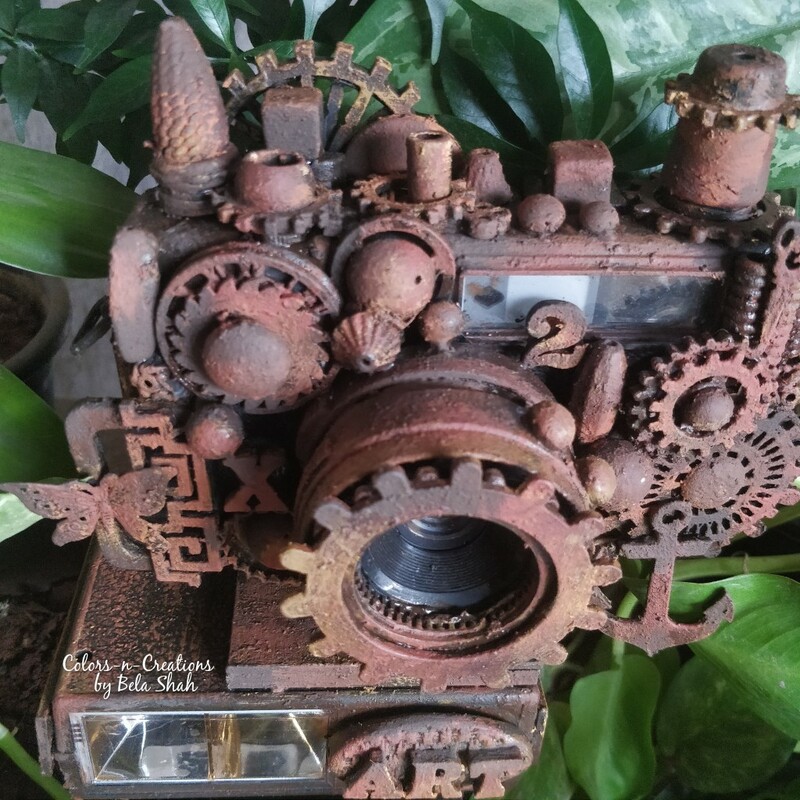 Just look at the days passing by...we are already in 9th month of the year...but we never miss a chance to keep the inspiration going and share some amazing stories of creative crafters around us...Today we have with us "Craft Enthusiast of the Week…..Bela Shah”…always smiling and cheerful person we got to know...hails from city of dreams Mumbai. Working for more than 10 years with corporates, Bela left everything to pursue crafting ever since she realised her love and inclination for crafts.….Let’s know more about her journey of being an craftprenuer, her passion, and some of her amazing projects she had worked upon. 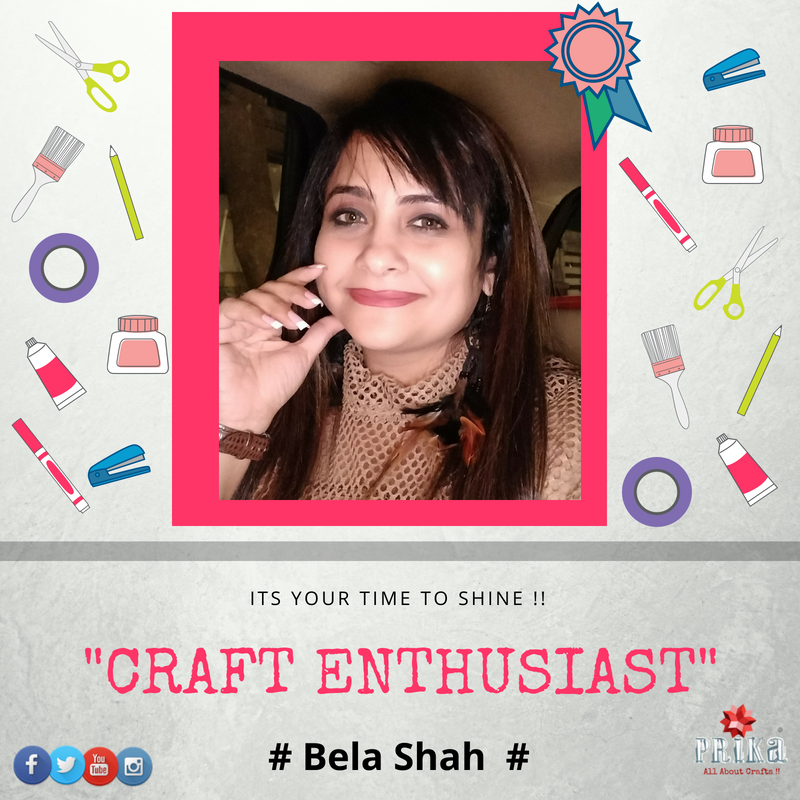 This is what Bela speaks about her journey as a crafter and her story of being a craftpreneur…. I am Bela Shah from Mumbai, India. I am commerce graduate and I have done my 2D , 3D animation and web designing. I am also a fashion Designer. After working for multinational corporates for more than 10 years I realized I was more inclined towards arts so I started with my classes Colors-n-Creations in 2006 and as an artist I love to do arts like pencil sketching, oil painting, charcoal painting , waters, acrylics and few folk arts like warli, madhubani etc…. I also love to do calligraphy, mixed media, decoupage, flower making, altered art , quilling, parchment etc…. 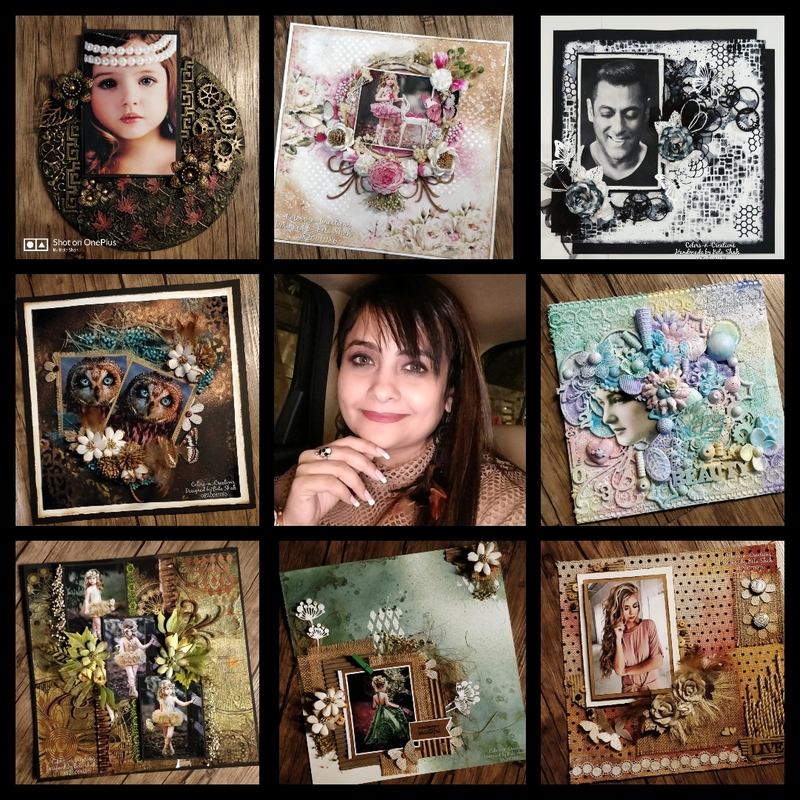 The best memory of the beginning of my crafting journey is my mom when in summer vacations she always taught and encouraged me to make some beautiful cards and envelopes using old wedding invitations, greeting cards and some newspaper and magazine cuttings which she collected over the year. My affinity towards any kind of new learning technique made me start craft just like the other art forms. The curiosity to know more about the new craft would satiate only when I tried and tested the new form and I would never give up until I feel satisfied with the outcome. 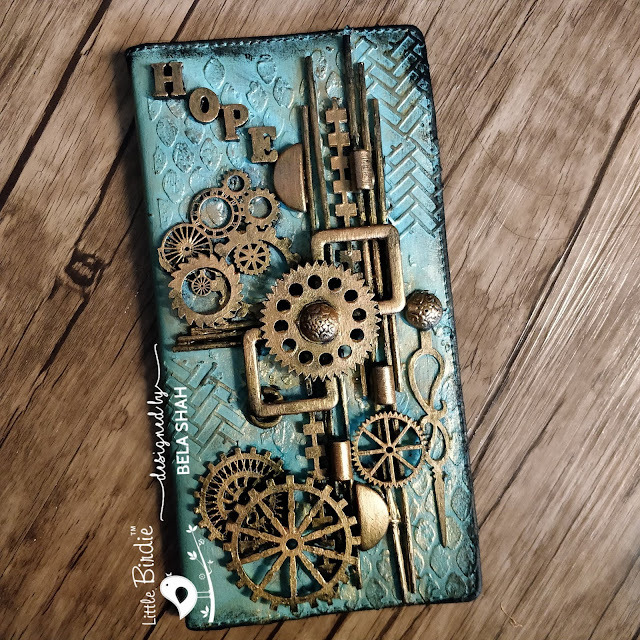 Started with quilling, then parchment then decoupage, flower making, and now I m hooked onto mixed media. I strongly believe Inspiration is everywhere… in nature, people around us, things around us . So you see its difficult to point out what inspired me as I feel I take inspiration from every thing, every person or every art work that I come across. I see Inspiration everywhere. 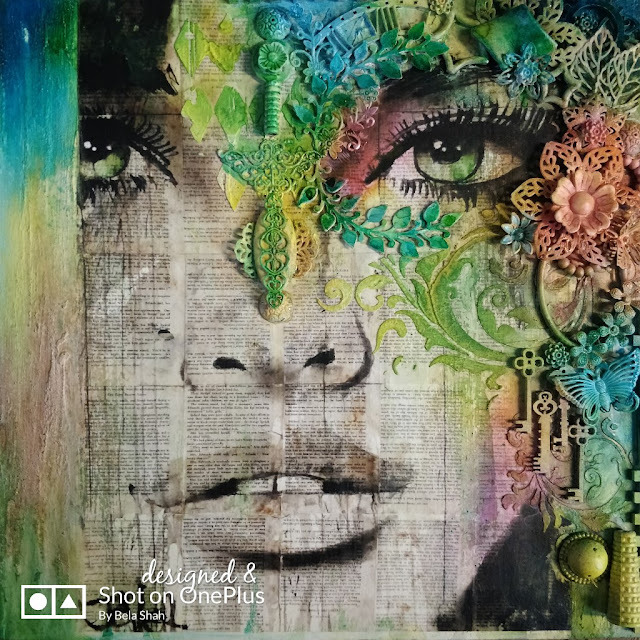 Well Currently I am high on Mixed Media… the textures, the colors, the layers, the embellishments and the unpredictability of this craft form has hooked me on to it as it has vast variations and you can use anything whether its a scarp or an expensive thing and alter it into a masterpiece. Currently I have my classes and small craft shop where I sell few lovel craft supplies which I run from home. The name is colors-n-creations where I teach different kind of art and craft so my dream is to have my own studio in future which will display all the art handmade by me. My most important tip for everyone is try different type of art that interests you and don’t jump to the other form till you are perfect in one style and learn or try techniques from all the sources available take inspiration but in the end create your original piece. There is nothing in the world which will make you more happier than this.